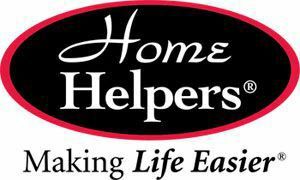 Home Helpers is a franchise company founded in 1997 providing top quality in-home care. Their goal is to “Make life easier by delivering the same exceptional care we would expect for ourselves and our families.” Home Helpers services are available to seniors, new and expectant mothers, working parents, and anyone in need of continuing and recuperative home care. Caregivers are insured, screened, and undergo extensive professional training to ensure they are well-prepared to handle any situation. Along with companion care, personal care, and homemaker services, some Home Helpers locations offer medical services such as catheter care, wound care, g-tube feeders, lab venipuncture, and first aid / CPR. If your loved one has Alzheimer’s, ask about a dementia caregiver with specialized training. If you are a family caregiver, consider respite care to plan a break from caregiving duties. Check with your local office in Atlanta, GA for available services and ask about a free in-home consultation.